The updates described are either important (where you need to take action) or of interest (you might want to know about these changes but you don't need to do anything). Action: You must upgrade to the minimum supported stack versions for Engine Yard Gentoo 2009 stacks in order to boot new instances. Due to recent global improvements to SSL security, we have upgraded our security certificates. While this makes communication safer for everyone, the certificate and ciphers are incompatible with older stack versions on the Gentoo 2009 distribution (stable-v1, stable-v2 and stable-v3). This is due to the age of their OpenSSL version. For more information on Engine Yard Gentoo 2009, see the Engine Yard Gentoo 2009 docs. Action: If you use Redis 2.6.x or 2.8.x in your custom cookbooks, please update them to use the latest versions and apply them to your environments. A vulnerability was discovered in Redis that allows users to break out of the Lua sandbox in Redis and execute arbitrary code. We have backported the patches and made them available as dev-db/redis-2.6.16-r2 and dev-db/redis-2.8.13-r1. If you use the 2.6.x or 2.8.x versions in your custom cookbooks, please update them to use these patched versions. The redis that is installed by default on database instances with the use of custom cookbooks is version 2.4.x, which is not subject to this vulnerability. 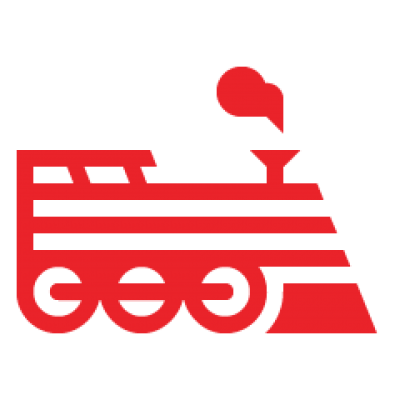 For more information on this subject, see Engine Yard Custom Cookbooks and adding Redis to utility instance using custom cookbooks. Action: We recommend you test this hotfix in your staging environment as soon as possible if using the impacted by the issue below; then, when that is validated, click the Upgrade button for your production environment. For more information on Engine Yard Gentoo 12.11, see the Engine Yard Gentoo 12.11 docs. Action: We recommend you test this hotfix in your staging environment as soon as possible; then, when that is validated, click the Upgrade button for your production environment. Upgraded Nginx version 1.6.2 to statically use OpenSSL 1.0.1p. This is in response to a recently disclosed vulnerability in OpenSSL 1.0.1o. Action: You apply the following changes the next time you click the Upgrade button for your Engine Yard Gentoo 2009 environment. OpenSSL version updated to 0.9.8zg to address a number of security concerns. Action: You apply the following changes the next time you click the Upgrade button for your Engine Yard Gentoo 12.11 environment. It's best practice to upgrade your Engine Yard Gentoo 12.11 (stable-v4) stack regularly for the latest security and product updates. Updated curl with latest vulnerability patches (available as v7.26.0-r1). OpenSSL version updated to 1.0.0s to address a number of security concerns.